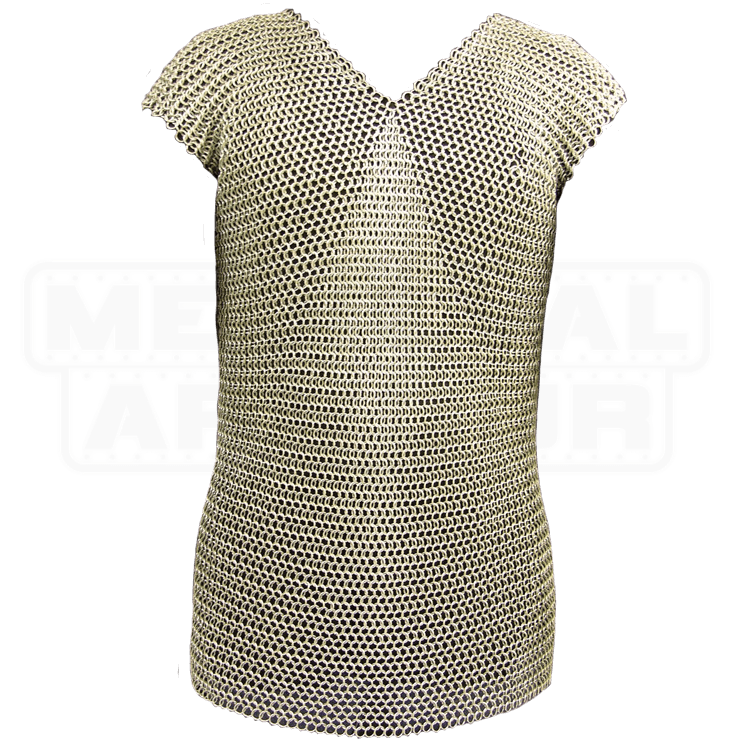 This Chainmail shirt provides an economical garment for the role-player. The mail shirt fits up to 44 inch chest size, measured over a gambeson. The construction is butted round rings made of 16 gauge steel that are zinc plated. 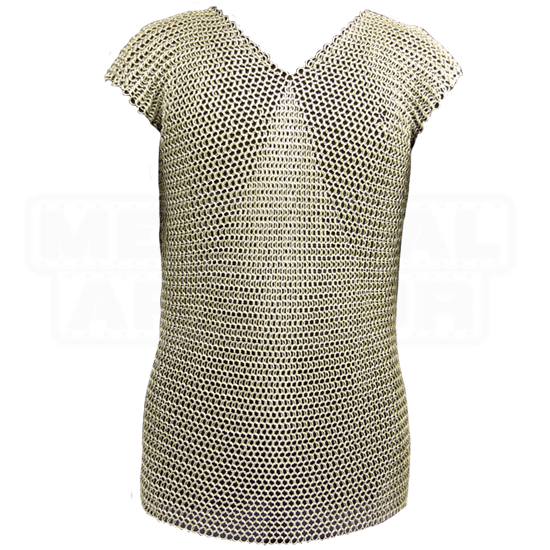 The internal ring diameter is 8mm and the chainmail shirt weighs 14 pounds, 15 ounces. Weight: 14 lbs. 15 oz.